VA Loans are designed to offer long-term financing to eligible American veterans or their surviving spouses (provided they do not remarry), the basic aim of the VA direct home loan program is to supply home financing to eligible veterans in areas where private financing is not generally available as well as help veterans purchase properties with no down payment. Designated by the VA as housing credit shortage areas, the eligible areas and are largely rural areas and small cities and towns that are not located within proximity to metropolitan or commuting areas of large cities. The VA loan allows qualifying veterans up to 103.3 percent financing on a primary mortgage without the need for private mortgage insurance or, a 20 percent second mortgage and up to $6,000 for energy efficient improvements. A VA funding fee of 0 to 3.3% of the loan amount is paid to the VA and this fee may also be financed. In purchasing a home, veterans may borrow up to 103.3% of the lesser sum of either the sales price or reasonable value of the home. Because there is no PMI, more of the monthly mortgage payment goes directly towards qualifying for the loan amount. This allows for larger loans with the same payment. The maximum VA loan guarantee differs by county. 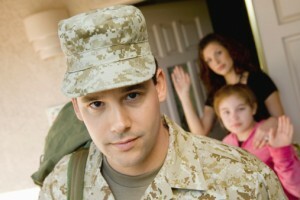 Since January 1, 2012, the maximum VA loan amount with no down payment is generally $417,000. However, in certain VA specified “high-cost counties”, this amount may rise to as much as $1,094,625. In a refinance where a new VA loan is created, veterans may borrow up to 100% of reasonable value, as permissible by state laws. Where the loan is a VA loan refinancing to VA loan (IRRRL Refinance), the veteran may borrow up to 100.5% of the total loan amount. The additional .5% represents the funding fee for a VA Interest Rate Reduction Refinance. VA Loans (Veteran’s Administration Loans) offer high Loan to Value (LTV) options, including loans up to 100% financing for those who qualify and Redwood Mortgage is an experienced partner for assisting you in obtaining the VA Loan that’s right for you.